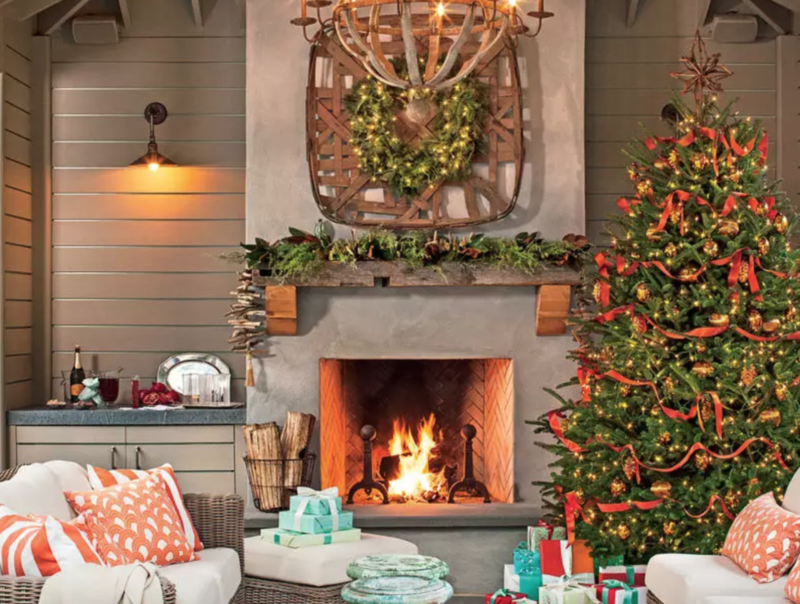 Our Christmas decorating guide is jam packed with festive tricks and fun holiday tips to spread plenty of cheer this season. After all, it is the most wonderful time of the year. We can hear the sleigh bells ringing can you? Bring decorative Christmas cheer to your interior and create the perfect setting to cozy up with a blanket on these winter nights. A beautiful Christmas tree should take center stage, and adorn your mantle with fresh, aromatic greenery, even bring some of your backyard inside for this. 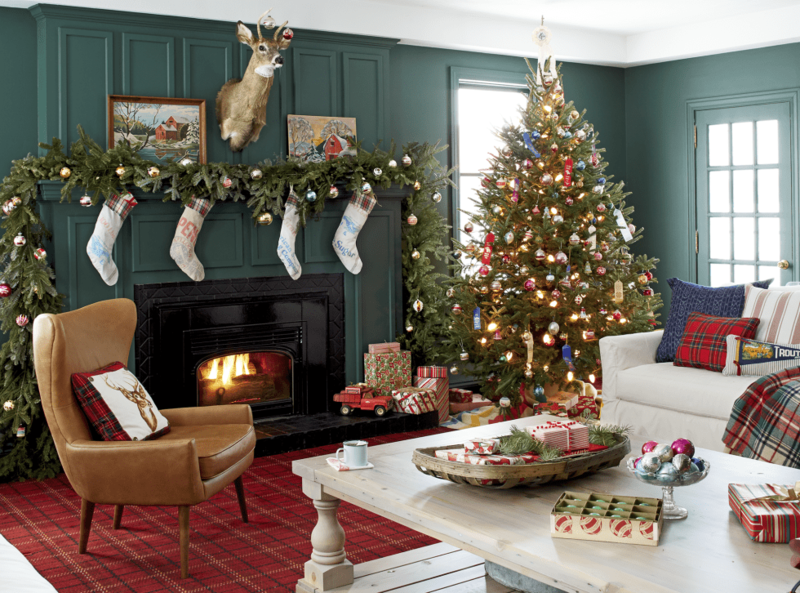 A simple evergreen wreath above the fireplace will complete the stunning scene. 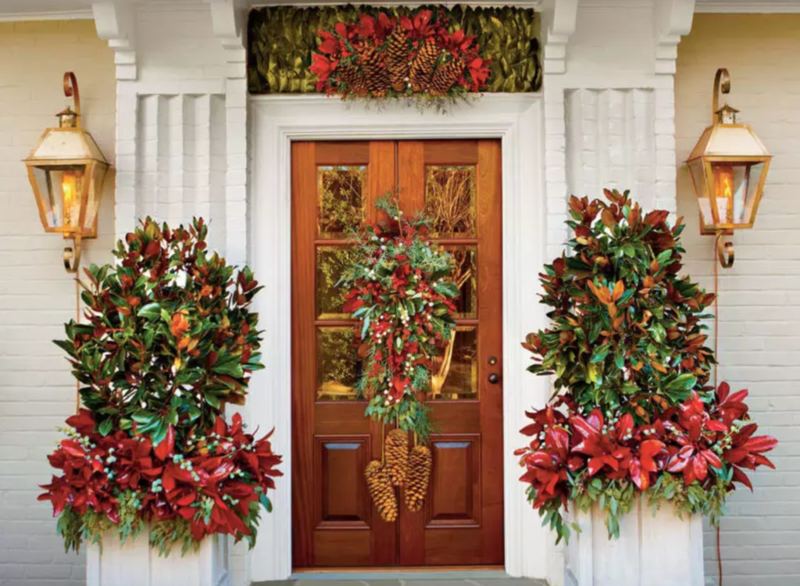 Poinsettias and magnolias are the perfect plants to decorate your doorway with to get into the festive spirit and welcome friends and loved ones over the holidays. Place a wreath on your front door, with pinecones hanging down, to create the ideal look. Create an elegant Christmas centerpiece with stunning red roses to create an air of romance, surrounded by white tallow berries. 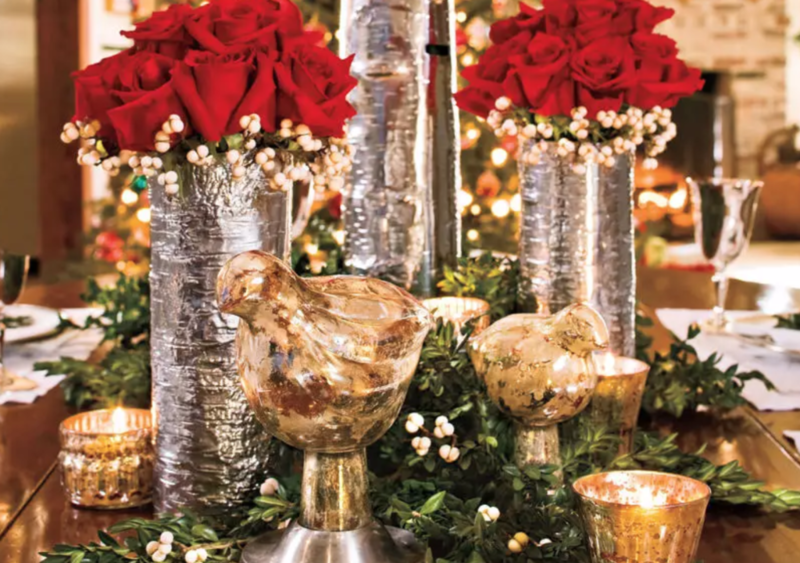 Display in silver vases, as these really ooze the warm, glowing light from candles, the rich reds from flowers, and the patterns on table settings in a welcoming way. Tucking pieces of boxwood garland and sprigs of berries really enhances the scene.